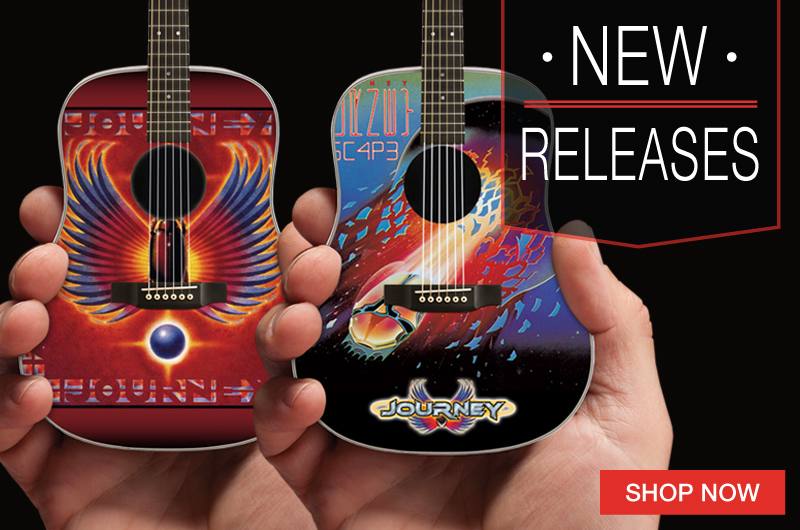 We are proud to announce Michael Anthony’s signature bass miniature guitar models. 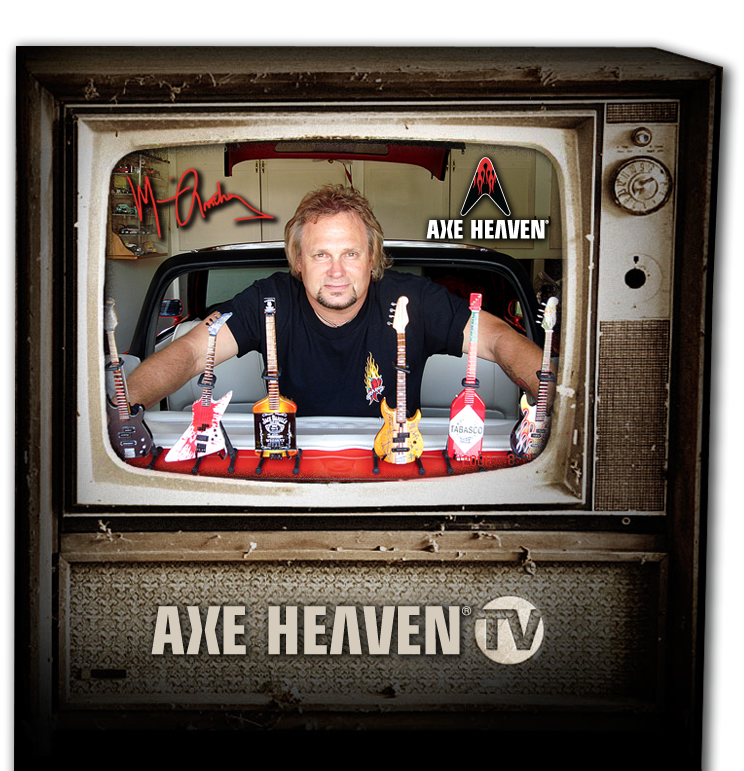 Axe Heaven has been working with Michael and Billy Becerra to develop his famous bass replica’s. 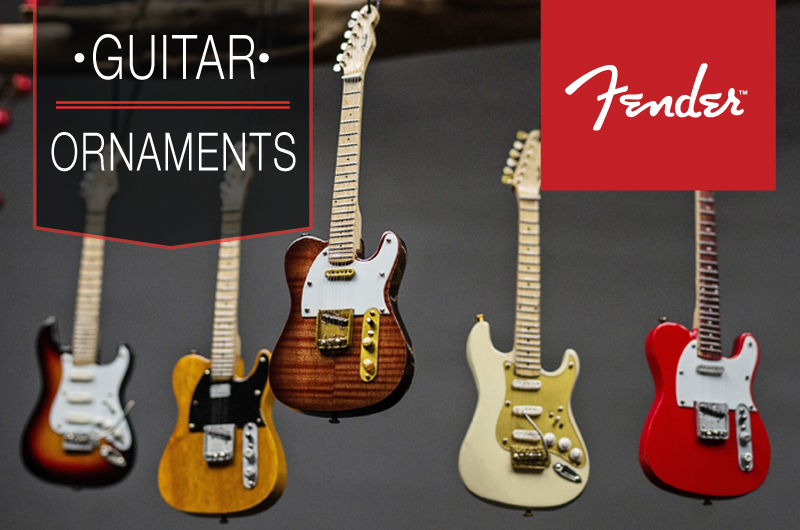 Over the past few months we have perfected these miniature bass models. The feedback and response is shocking! 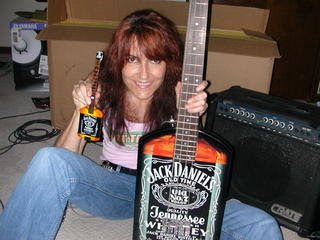 The Jack Daniel’s bass is Michael’s most infamous bass. 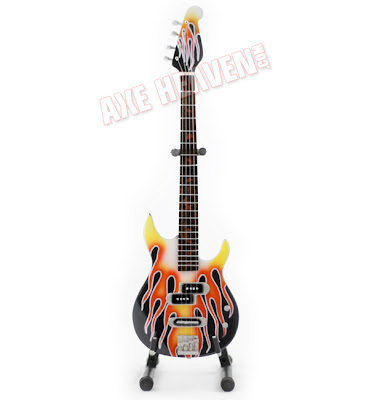 It was introduced on the 1984 Van Halen tour and the original currently resides at the Rock and Roll Hall of Fame. 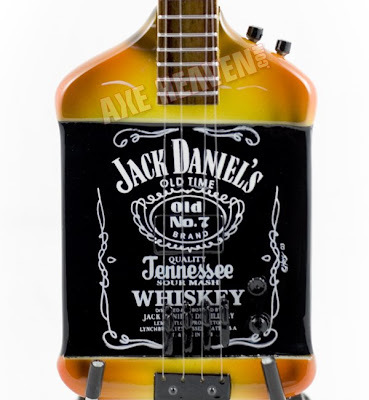 Click the link below for a Behind-the-Scenes look at the Yamaha Jack Daniel’s bass. 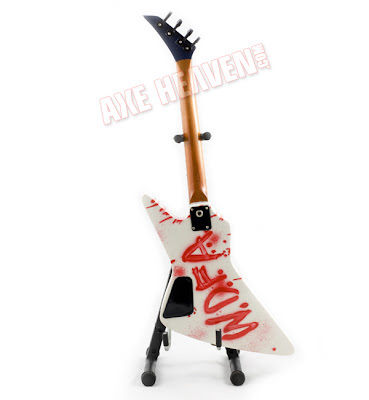 Introduced at the beginning of the 1980 Van Halen WACF Invasion Tour, the W.D.F.A. 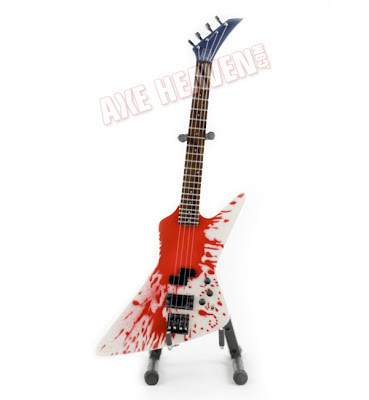 bass is one of Michael’s most well-known, but rarely seen basses. 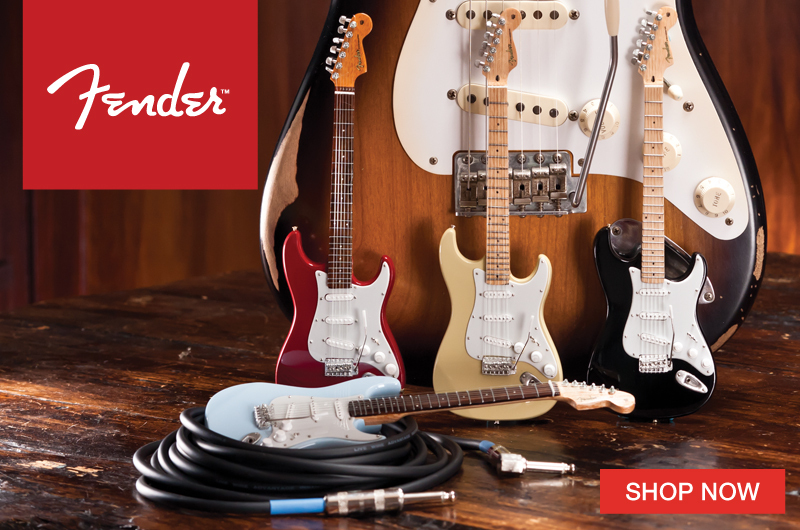 Click the link below for a Behind-the-Scenes look at the Charvel bass this replica was modeled after. 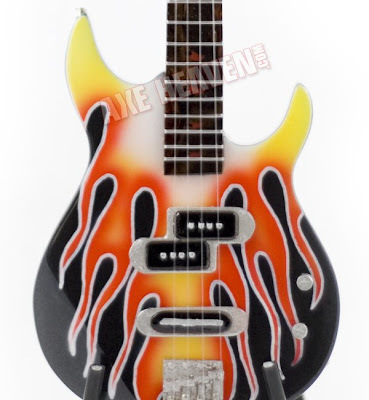 The Yamaha Flame Bass is one of Michael’s main touring instruments these days and was built in 2001. 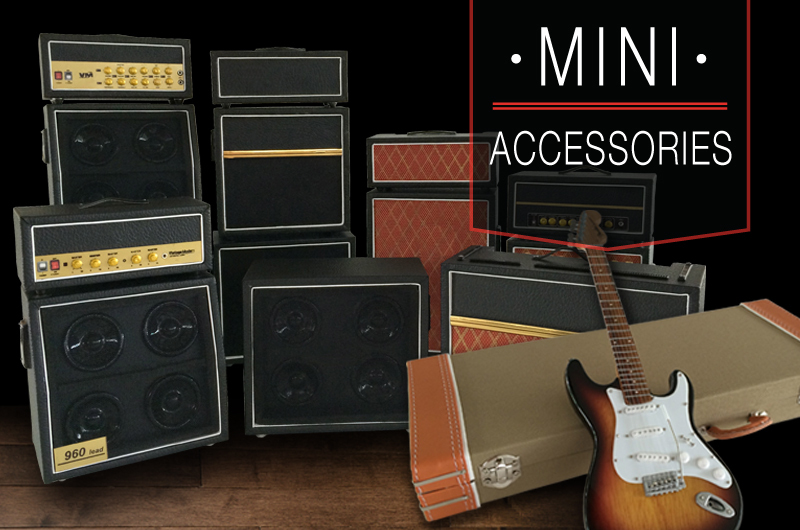 Click the link below for a Behind-the-Scenes look at the Yamaha BB3000MA bass this replica was modeled after. 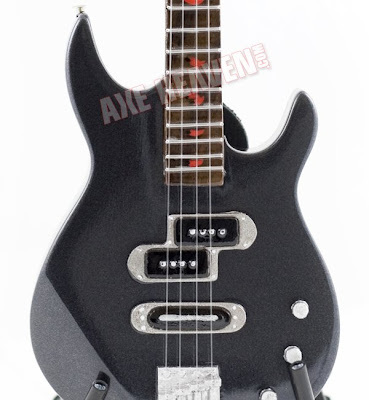 The BB2000 Bass was one of Michael’s main touring instruments from 1979-1984. 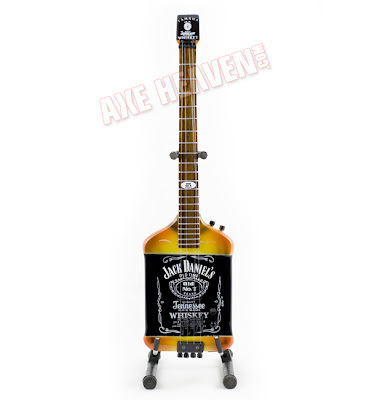 It was the prototype for Yamaha’s future BB2000 bass line. 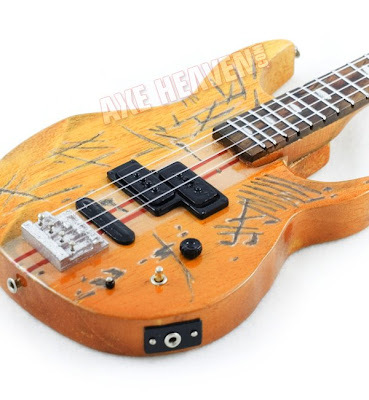 Click the link below for a Behind-the-Scenes look at the Yamaha BB2000 prototype bass this replica was modeled after. 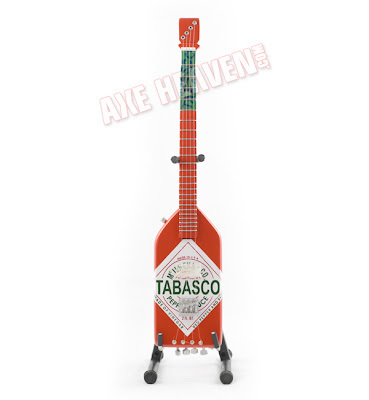 The Tabasco Bass is another well-known, but rarely seen instrument in Michael’s bass collection. 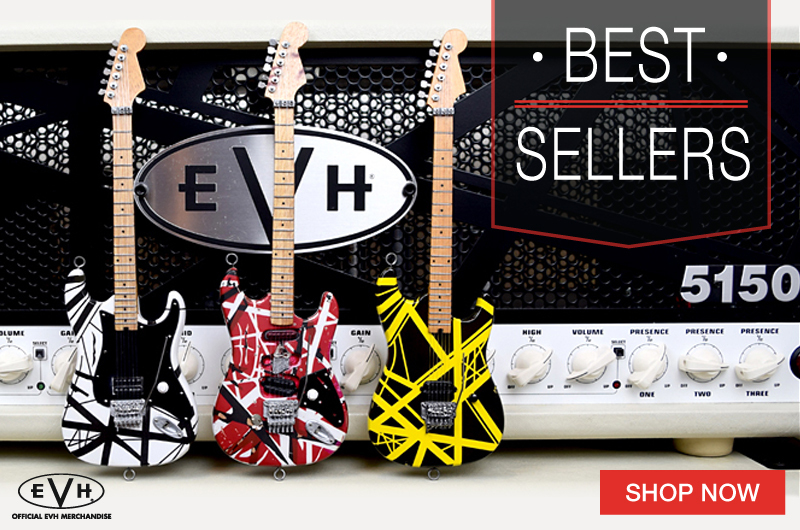 It debuted on the 1988 VH Monsters of Rock tour. 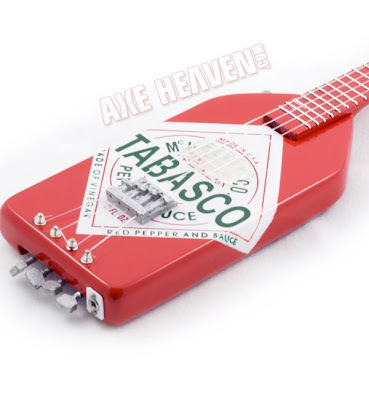 Click the link below for a Behind-the-Scenes look at the Tabasco bass this replica was modeled after. The Yamaha BB3000MA Bass is Michael’s signature series axe that he created inconjuntion with John Gaudesi and his merry men at Yamaha’s Custom Shop. Click the link below for additional information about the Yamaha BB3000MA Signature Series bass this replica was modeled after. 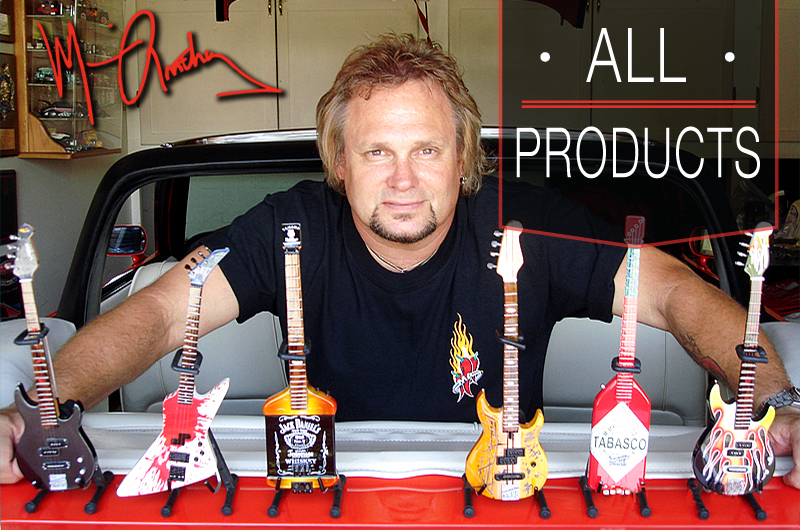 Thanks for all the support & rockin reviews Michael Anthony fans!